Hunting can be conducted all year round however the period April to October is generally recognized as the prime hunting season. The rains fall from November through March and accessibility into certain areas is limited. Temperatures are excessive and this is when most of our game are giving birth. We choose not to disrupt this. The days are warm and the nights cool. May, June and July are the cooler months with October being the hottest. Average temperatures range between 13C and 28C (54 F and 82 F) in May, June, July and slightly warmer in the other months. Some mornings and evenings can be very cold with temperatures dropping closer to 0C/32F. Occasional frost may occur. Rain is also not out of the question. Any of the 300 caliber rifles are suitable for medium to large thin skinned plains game species including leopard and lion.  The 375 H&H Magnum is the minimum legal caliber required to hunt thick skinned dangerous game such as buffalo, elephant and hippo. We recommend you bring your own rifles and use only the best premium grade bullets available such as Nosler, Barnes, Swift or Trophy Bonded. Solids are recommended for thick skinned animals. Forty to Sixty rounds of ammunition per caliber is suggested with 10 rounds of solid bullets for dangerous game. 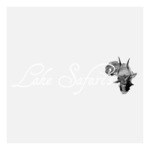 It is wise to spend time at the shooting range before your safari commences so that you are comfortable and proficient with your rifle/s and ammunition. Airlines require that firearms and ammunition be checked. Firearms should be securely cased and packed unloaded. Ammunition needs to be in a separate locked box that can be placed in your check in luggage. On check in you must advise the commercial airlines that you are traveling with firearms and ammunition. Each airline has strict restrictions as to weight and packing. Please check with the appropriate airline or your travel agent as to their particular regulations at least six weeks before your departure. Passport ~ Valid passports are essential. 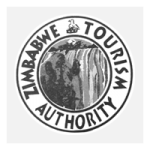 Visas, if required can usually be purchased at your port of entry into Zimbabwe. It is best to check with your travel agent on these requirements before departure. If you intend on traveling through or visiting South Africa, take note that South African law requires travelers to have two (2) blank (unstamped) pages in their passport to enter South Africa. Consult with your travel agent in this regard. Firearms ~ Documentation for temporary importation of firearms into Zimbabwe is simple; A temporary firearms import permit will be issued to you by Zimbabwe Customs on arrival at the airport in Bulawayo. Fill it out in triplicate and hand back to the customs official. Alternatively you may click on the link below, print and fill in 3 copies of the attached form and hand to the customs official on arrival in Bulawayo. For US citizens, a customs form 4457 is required to clear firearms into and out of Zimbabwe. This form will also assist in returning back to the United States with your firearms. This form may be obtained from any Customs office in the USA. Alternatively click on the link below, print and fill in one copy of the attached form. It must be stamped by US Customs before departure from the United States. For European citizens it is essential that you bring your issued rifle permit with you. Hunters overnighting in South Africa will be required to fill in the SAPS 520 form to clear their firearms into South Africa. We will issue you with an invitation letter to come hunting in Zimbabwe. This letter will assist in obtaining the necessary documentation for transit through South Africa with your firearms. Those transiting through Johannesburg with a same day connection to Zimbabwe do not need to fill in this form. Meet and Greet ~ A meet and great service for Temporary Pre-issued Firearm Permits and Hunting Assistance is provided by Hunters Permits Africa at Johannesburg Airport. They assist with clearing firearms though South African Customs. Numerous options are available to overseas travelers but we recommend that all our clients fly direct from the United States to Johannesburg (South Africa) then on to Bulawayo, Zimbabwe. This will reduce the hassle of traveling with firearms through numerous connecting airports. Driving up to Zimbabwe from South Africa is not a good option..
Below is a US based Travel Agent who can assist with all your travel arrangements, passport and visas requirements. All your trophies are skinned, cleaned and salted at the skinning facilities in each concession. They are then delivered to COLLETT’S WILDLIFE ARTISTRY in Bulawayo where they are dipped, packed and prepared for shipping. 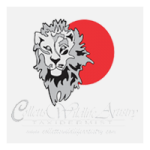 COLLETT’S WILDLIFE ARTISTRY provides world class taxidermy for those of you who wish to have your trophies mounted in Zimbabwe. All training and expertise was acquired in the USA in order to maintain world class standards and professionalism. Personal attention is given to each and every trophy to ensure your memories live on. We recommend you take out comprehensive travel insurance for the duration of your safari, as well as emergency air evacuation. Global Rescue International is a good service provider. No Vaccinations are required to enter Zimbabwe however it is considered a Malaria area and anti-malarial medication should be taken before, during and after your trip. Consult your doctor in this regard. Although we carry a first aid kit to deal with minor ailments, it is advisable that you carry your own supply of prescribed medication and first aid supplies. Laundry is done on a daily basis. All clothing and footwear worn while hunting should be of a dark khaki or preferably jungle green (sage) color. Camouflage clothing is NOT permitted. Be patient with Africa, as the pace of life is generally slower. You will find us warm and welcoming, and you will leave enormously fulfilled.